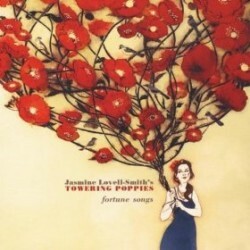 Soprano saxophonist Jasmine Lovell-Smith’s debut album is Fortune Songs. In this interview, Lovell-Smith talks about the long road from her native New Zealand to Brooklyn to Connecticut to her current home in Mexico; why she stopped playing music, and how she found the inspiration to start again; her early love of Stan Getz and Sonny Rollins; and her upcoming recording projects. Learn more at jasminelovellsmith.com. BUY THIS ALBUM AND SUPPORT THE JAZZ SESSION AT THE SAME TIME.